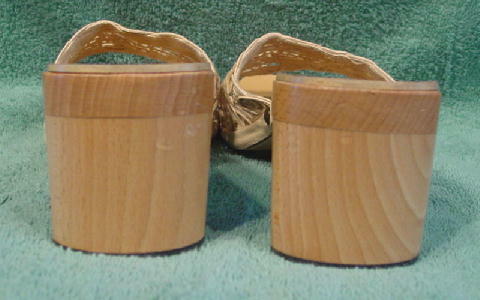 These wooden heel and sole slides are by Anna Sui and were made in Italy. 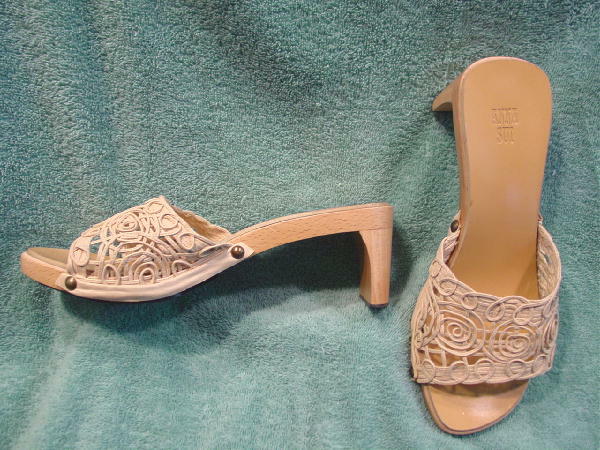 They have black synthetic heels and sole bottoms and tan (not padded) synthetic insoles. The thin strips are in a beige-bone color and feel like they have a rubberized coating. 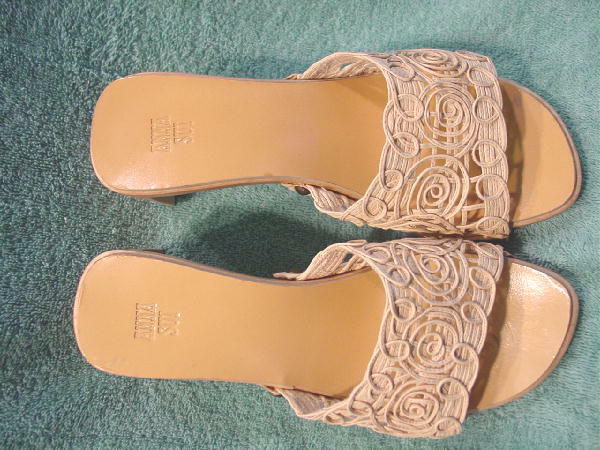 The sides each have two bronzed-brass color tacks holding the straps in place. 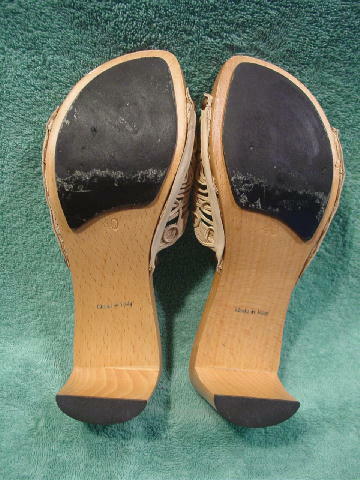 The back of the left shoe wooden heel has some indentations.